Following on from part one of our PAAM volunteer software Glastonbury Festival Guide please read on to find out more about the hidden and unusual aspects of the Glastonbury Festival of Contemporary Performing Arts! The size of Glastonbury makes it impossible to see anywhere near everything you’ll probably want to. Our advice is to make your plans a little vague (the aforementioned cider from part one helps with that…) and go where the festival takes you. Try and accept the fact that you will miss at least as many bands as you see, and factor in time for random wanders around the site - this will often be much more fun than watching the bands! 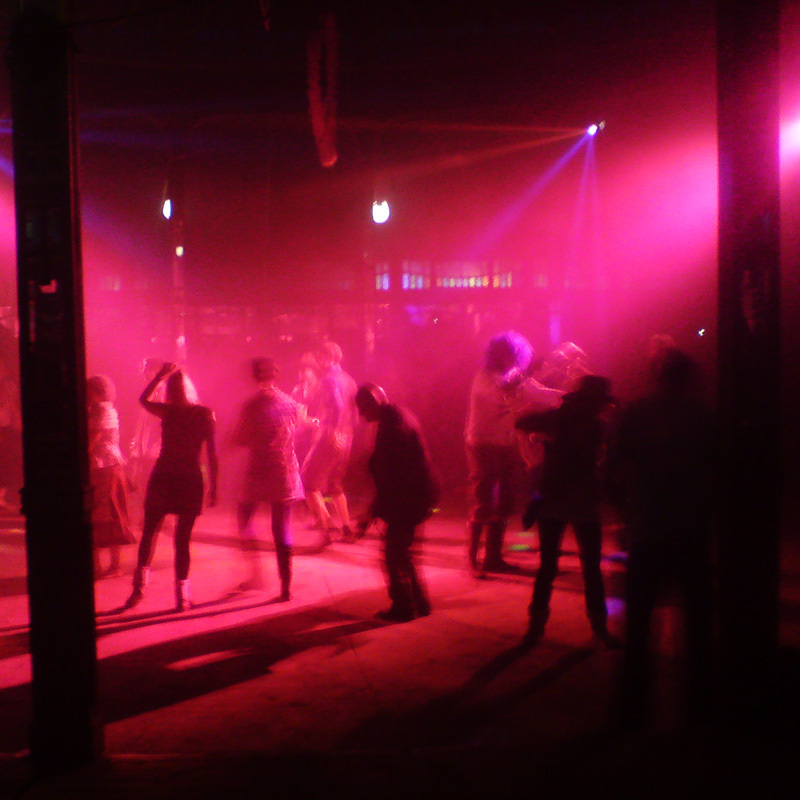 Here lies the twisted nightlife of Glastonbury! If you like fire, explosions and strange dancers Shangri-La and Trash City is where you should head although watch out as they get rammed after the headliners finish. 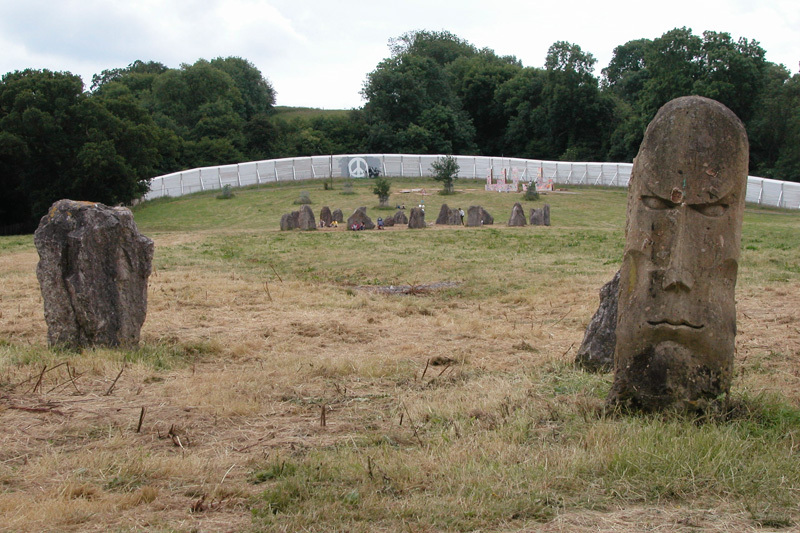 At the top of the Green Fields you will find the ‘sacred space’ in which the stone circle sits. The sacred space is the more chilled out late night destination. Try to take a walk all the way up to the top of the hill – if you make it the journey will be worth the destination! If you can manage it one night try spending the night in the sacred space so you’re there for sunrise. Don’t get too carried away with the mysticism though; the stones were installed in the 90s…and no not by aliens! Like all good towns in the middle of Glastonbury’s markets there is a bandstand. It’s a good place to go for a jig in the evening and a handy meeting point! People who have been drinking strong Somerset Cider Bus cider, as if it was the lager they normally drink in their local! Cider Bus Casualties can normally be spotted lying in the sun looking fairly worse for wear, unsurprisingly mostly in the general vicinity of the cider bus; particularly prevalent on Wednesday and Thursday. 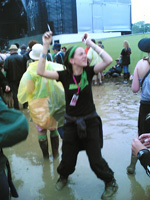 Extra points if you spot them in wellies or trying to be spotted. There’s an urban (or in this case should it be rural?) legend that once, a festival goer got into one of the long drops dressed as a pirate and stuck his head out shouting ‘Popup Pirate’ when an unsuspecting victim opened the door. There are too many issues with the tail to truly believe it but be warned! The Green Police dress up in crazy costumes and try and encourage people to be green. They were brought in after the Glastonbury Festival was fined due to the amount of urine that ended up in the local water courses as a result of unscrupulous men using the hedges as toilets. Double points if you spot the Green Police whilst embarrassing someone using the hedge as a toilet. A close relative of the Cider Bus Casualty is the Weather Casualty. On a hot year you’ll find them burnt to a crisp (good with some spicy sauce or a cooling dip). On a wet year you may spot them rolling round in the mud, or walking away from rolling around in the mud and doing their best to convince themselves it was a fantastic idea. If you’re really lucky and it’s a mixed year you may get two for the price of one! Either way it's always best to keep your distance - we have no idea what is in the mud and prefer it that way! No one is really sure where it comes from (let alone where it goes) but keep your ears open for the peddle powered sound system! It roves the site, often with an entourage! The Green Fields take on a different atmosphere dependant on the time of the day. Early in the morning when the sun is still low in the sky a mist often starts to make its way around the Green Fields which makes the whole area feel like the set of a Robin Hood film! No it’s not the sixties anymore but you do see the odd naked person wandering around. Try not to stare, point, and please don’t poke them (with a stick or anything else you find lying about). Can often be seen wandering through his kingdom. If you’re really lucky you’ll spot Michael Eavis giving the Pilton Village locals their annual tour in his specially outfitted coach! Not so odd in itself but many don’t realise that due to Glastonbury being so large it has its own newspaper! Always a good read in the morning before the music starts. Your love, or lack thereof, of milk, will define if the milk truck is an oddity or a life saver. In the morning tractors pull trailers around the campsites selling fresh milk! 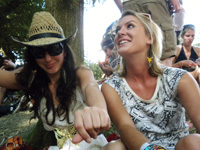 This brings us to the end of our '2011 Glastonbury Festival Guide'! We hope it helps you get the most out of your Glastonbury! If you're heading over to Worthy Farm this year, see if you can spot anything we've mentioned and be sure to let us know if you have any great festival tips in the comments section! 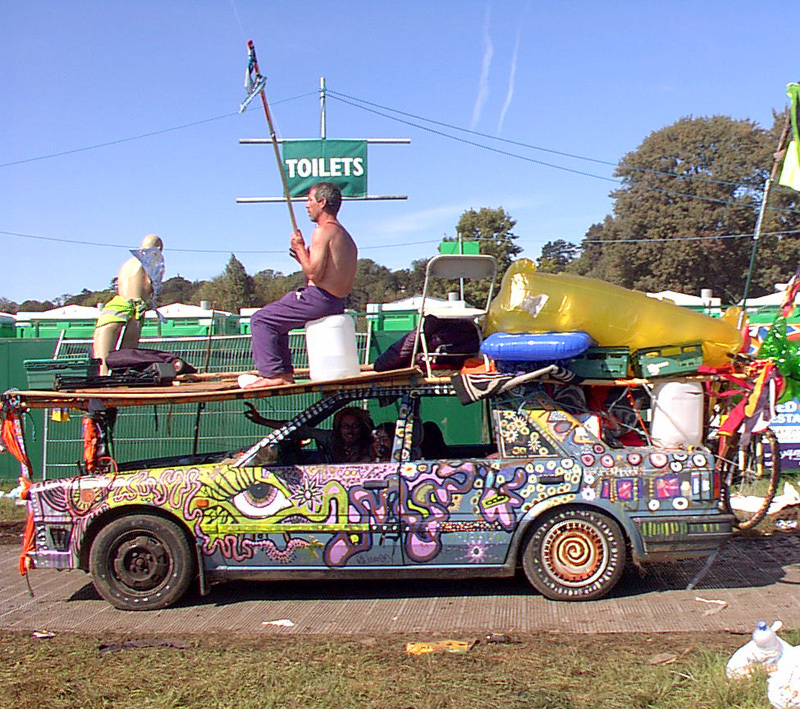 There are a lot of other places you can get information about the Glastonbury Festival. 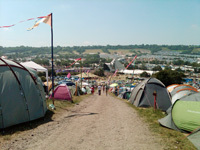 With a little help from our friend Google you’ll find several websites dedicated to Glastonbury. 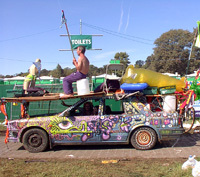 For a broad overview and line-up the official Glastonbury Festival website can’t be beaten. You’ll find the fine guide on the official website which is a particularly detailed walk-through of the festival; available to download as a PDF and including a good basic map. For more about what to see and do, plus hints and tips about what might be going on you can try delving into the festival forums dotted about the web. Both eFestivals and Virtual Festivals have the two best Glastonbury dedicated forums around at the moment.